A posse goes out in search of a killer--tracking him into Apache country--but only one man returns alive from the Bad Lands, Arizona, 1875. Sheriff Bill Cummings (Robert Barrat) leads a nine-man posse after Apache Jack (John Payne). But, one-by-one, the Native Americans kill the intruders to their land. 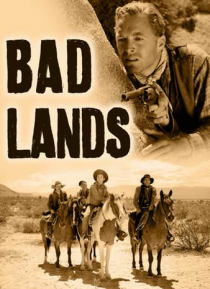 Finally, Cummings and Easterner tenderfoot Billy Sweet (Guinn Williams) are left alive--then a … shot rings out and Sweet is dead, leaving Cummings alone.